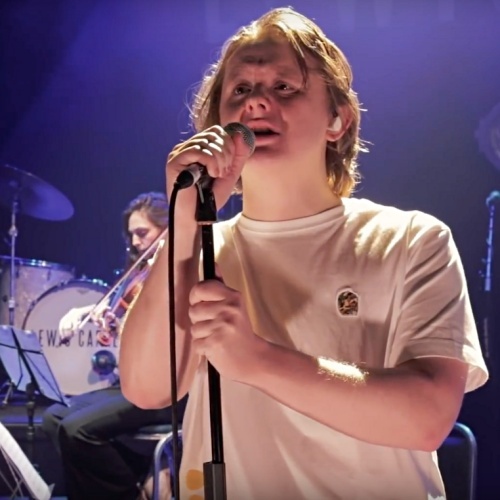 Lewis Capaldi keeps his place at the top of the Official Singles Chart with Someone You Loved, denying Lil Nas X the Number 1 spot with his viral hit Old Town Road. Someone You Loved logs 69,000 combined sales this week, including 8.16 million streams, to score a seventh week at the top. Lewis now has one of the longest-running Number 1 singles for a Scottish act in the UK - third behind Wet Wet Wet's Love Is All Around (15 weeks) and Calvin Harris's One Kiss ft. Dua Lipa (8 weeks). It means Lil Nas X has to settle for second place with Old Town Road. The hip-hop-meets-country song, which went viral thanks to the 'Yeehaw Challenge' meme where people film themselves transforming into cowboys, vaults 37 places to Number 2. Elsewhere in this week's Top 10, production trio Meduza lift five spots to Number 5 with Piece of Your Heart ft. Goodboys, and Khalid's Talk leaps seven places to a new peak of 9. Following the release of his new record Free Spirit, album track My Bad makes its first Top 40 appearance, jumping 27 places to 32. Ariana Grande & Victoria Monet's Monopoly makes a 17-place climb to Number 23, and Jax Jones' All Day And Night ft. Martin Solveig & Madison Beer shifts 16 places to make its Top 40 debut at 25 – Jax’s seventh Top 40 to date. Further down, South Korean girl group Blackpink debut at Number 33 with Kill This Love, their highest UK singles chart position yet, Let Me Down Slowly by rising star Alec Benjamin hops ten places to make its Top 40 debut at Number 36, and Jonas Brothers bow at 39 with their latest release Cool.